"Nadezhnost PLUS Ltd." A member of Metallurgmash International Union (MIU), we have over 50 years'' experience in the field, working with clients in Russia and the CIS. Nadezhnost employs a large team of expert engineers with several years'' professional experience and successful project work between them. Our company has a large portfolio of science work. In our scientific research we are collaborating with a number of institutes. 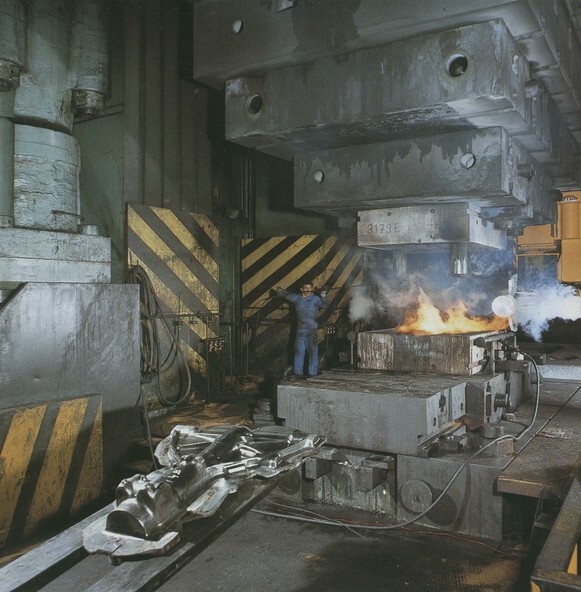 The company gained much of its specialist knowledge at the Department of Prochnost (Strength), Part of the former Soviet Union''s Institute for the Investigation and Construction of Metallurgical Machinery - working in the diagnostics, upgrade and repair of metallurgical machines and equipment (MME). Heavy-duty metallurgical machines as such, don't have live expectancy. New equipment differs from old ones only by greater power, more modern systems of drives, controls and more automation. We can help you to achieve these standards by modernising your old equipment, and thereby cutting the financial outlay on buying new equipment. Our aim is to provide the customer with constructional and technological solutions that will significantly improve the operational life span of components, thus avoiding costly repair or replacement and plant downtime. We can offer a comprehensive service, with emphasis on extending the life of the machinery and parts, and avoiding plant down- time and costly total replacement. We provide our clients with complete constructional and technological solutions that combine unique procedures and specialist techniques. Our existing clients'' MMEs have shown significant improvement in reliability, durability and robustness of performance-thus prolonging machine life and increasing productivity. Comprehensive technical health analysis for component parts, including evaluation of loading schemes and the impact of various environmental conditions, such as temperature and corrosion. Forecast failure prediction and identify which parts and assemblies will be out of service before the normal wear of the machine. Based on this, we can ensure appropriate remedial actions before potentially catastrophic and costly failure. Using specially developed technology, we can estimate the strength margin of large constructions at the design stage and eliminate any flaws. Tailor-made control of basic parts. This includes the design, manufacture and installation of computerised systems that monitor and control your MME, ensuring fault-free operation for a pre-determined service life. A comprehensive on-site maintenance service on existing parts in order to ensure maximum productivity and to extend the MME life-span beyond manufacturer predictions. This includes renovation of shaft-worn surfaces, bores and all types of end surfaces. Design and manufacture of large parts for your MME instead of ruined ones. Design and development of rapid repair procedures in the event of sudden failure of your MME. Repair of large cracked parts of MME by using the latest welding technology to ensure optimum accuracy. Configuration and manufacture flaws in new components to ensure compatibility with existing equipment. Supply of portable in-line boring and welding machines with further training of your staff and post sale guaranteed service.